There’s been a huge boom in Korean culture in Japan in recent years, especially for the food– and cheese dak-galbi is a standout star, with scores of internet results dedicated to recipes and gourmet reviews. Convenience store 7-Eleven has taken this hot tip from food trends as an inspiration for their latest product: a trusty burrito, filled with all the characteristic melted cheese wrapped up in a soft tortilla – but with the added hint of spice brought in by the dak-galbi chicken and its definitive sauce. Our Japanese language reporter K Nagahashi could tell this was going to be a mouthwatering experience, so he waited for the burritos to drop on August 7 and dashed off to grab one. ▼ The burrito retails for 280 yen, a full 50-yen more expensive than the neighboring standard 7-Eleven ham and cheese burrito. 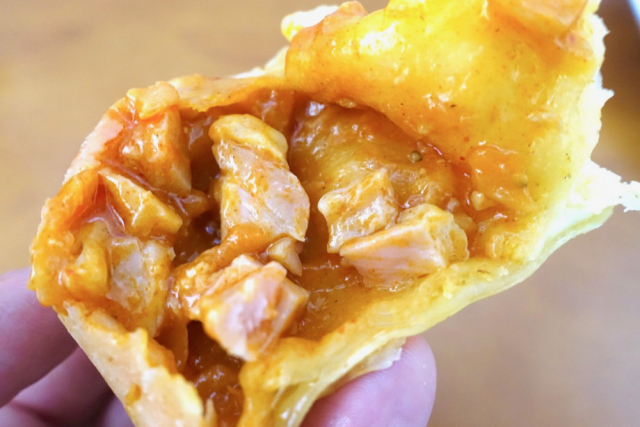 According to the packaging, the burrito uses Gochujang paste (a sweet, savory chili paste made from fermented red beans) as its base for their specialty spicy sauce, and then two kinds of melted cheese and meaty chicken pieces are rolled up inside of it. 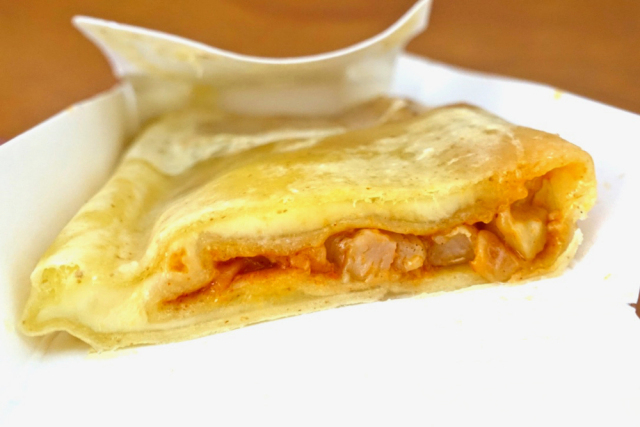 The Gochujang paste, chicken and cheese are the core ingredients for cheese dak-galbi, so 7-Eleven is ticking all the right boxes to keep Nagahashi happy! ▼ Pop it into the microwave, and away we go! When it emerged, piping hot and glistening with melted cheese, Nagahashi couldn’t help but take a taster bite right away. The aromatic tortilla pairs with the rich cheese and mild spice of the sauce to create an explosion of flavor. This is a shot of junk food so tasty you won’t want to miss it! While the spice isn’t overwhelming, the density of the flavor means you’ll need plenty of drinks on hand to wash this decadent wrap down – and seeing how it’s summer, that shouldn’t be a problem! In fact, this would go down great with a beer, some salted peanuts and a nice salad on the side. With chicken chunks down to the last bite of tortilla, the experience left Nagahashi utterly satisfied. In short, if you’re already a burrito junkie this new offering from 7-Eleven is a great quick fix. Go out and grab one today. In short, if you’re already a burrito junkie this new offering from 7-Eleven is a great quick fix. Given Okay, I'm really spoiled from consuming both old Pueblo and Sonoran cuisine from the old US Southwest (e.g. the Chimichanga) - but that photo was a total abomination of anything that resembled a burrito (yes I get it - it's a Japanese 7-11...so I need to calibrate my standards accordingly - understood). This burrito photo was totally lacking in every way - the flour tortilla lacking any crusty deep fried flakiness (obviously wasn't prepared with lard - yes, you can't cheap-out on that junk when cooking comfort food), the evident lack of seasoning in the sauce gives it the premonition that that's really one bland and flavorless burrito you're about to dig into, and the complete lack of any sharp cheddar cheese oozing away from the torn section shown, is a clear indication that this 7-11 burrito is no better any cheap $0.99 frozen Jose-Ole bean and cheese burrito sold from Walmart. Ugh. There's hardly any filling! 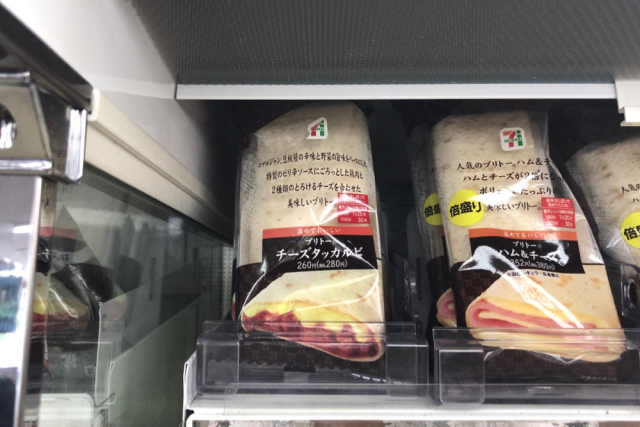 They appear to have pushed the filling up to one end for one of those photos, just like the combini sandwich makers do to make them look fuller on the shelf. Just looking at the packet, but 7-Eleven has a Japanese trademark on the name ブリトー?!?! And if not already a burrito junkie should we skip it? Shouldn’t you be trying to gain new converts (junkies)? Might try that. 7-11 has some good products and seem to use high quality ingredients. What is ham doing in a burrito? Somebody try the Dakkalbi burrito and tell us how it is, please. 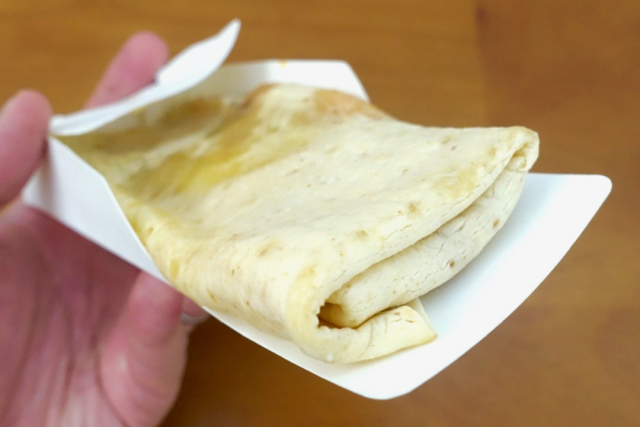 Looks more like a chicken quesadilla given how thin it is. But, considering just the tortilla costs 80-100 Yen here in Japan, I guess they have to cut corners somewhere. Speaking of 7/11 I just had their cold tan-tan men noodles and they are delicious. Around 500 yen and taste better than the ones I had a few months ago at a Chinese restaurant for 1100 yen.